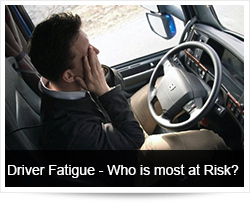 Driver Fatigue - Who is most at Risk? Sleep-related crashes are most common in young people, who tend to stay up late, sleep too little, and drive at night. Studies suggest that 20 to 30% of those with non- traditional work schedules have had a fatigue-related driving mishap within the last year. The drive home from work after the night shift is likely to be a particularly dangerous one. Truck drivers are especially susceptible to fatigue-related crashes. In addition to the high number of miles driven each year, many truckers may drive during the night when the body is sleepiest. Truckers may also have a high prevalence of a sleep and breathing disorder called sleep apnea.  Studies suggest truck-driver fatigue may be a contributing factor in at least 30 to 40 percent of all heavy truck accidents. The presence of a sleep disorder increases the risk of crashes. Disorders such as chronic insomnia, sleep apnea and narcolepsy, all of which lead to excessive daytime sleepiness, afflict potential motorists. Most people with sleep disorders remain undiagnosed and untreated. Sleep apnea occurs in 4% of middle-aged men and 2% of middle-aged women. The disorder is associated with a three to seven time increase in crash risk. 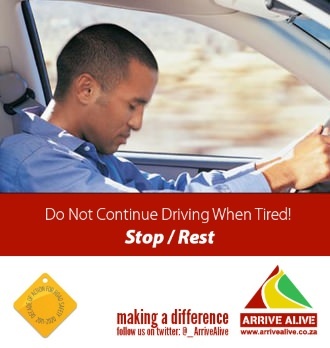 Driver tiredness is one of the most significant threats to safety of all road users. This is often seen as one of the "driver distractions" taking the eyes and concentration of the driver away from driving. Driver tiredness often leads to head-on collisions and rollover crashes. 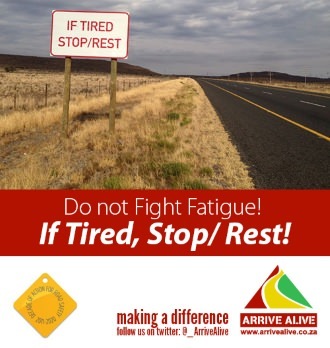 On the Arrive Alive website this is discussed on several pages with reference to Driver tiredness, Driver Fatigue and Drowsiness.